CHAMBERSBRUG, Pa – At an annual company-wide event, F&M Trust Thursday set a new standard for what it means to be a community bank. “We have the opportunity to bring our employees together once a year. We want to use that time to do somethings that’s meaningful, roll up our sleeves and rally behind a common cause. As a community bank, that’s what it’s all about,” said Tim Henry, president and CEO of F&M Trust. Nearly 270 bank employees decorated and stuffed 43 blue duffel bags dubbed “sweet cases” with teddy bears, blankets, hygiene kits, coloring books and crayons. 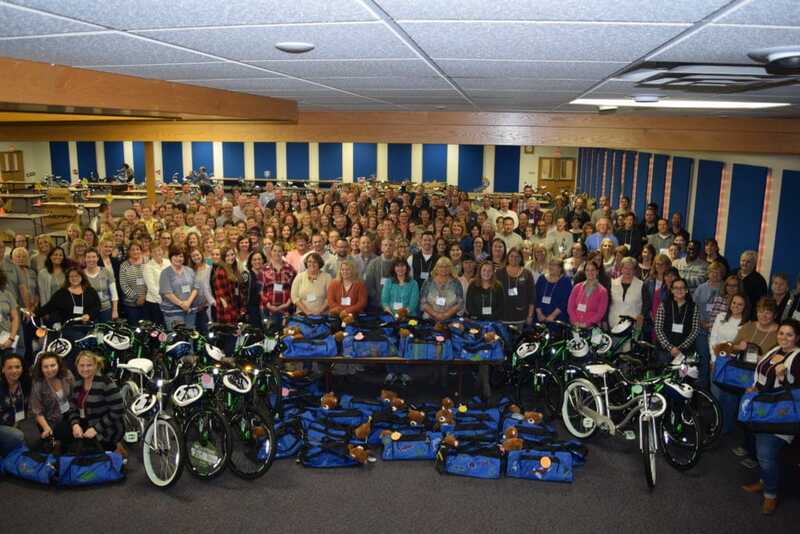 They also built 43 bicycles – all of which have been given to Family Care Services – a Chambersburg foster agency. “Thanks to the generous support of F&M Trust, kids will experience the childhood joy of learning to ride their first bike. They will also be able to keep their most precious belongings safe in a sweet case bag. Although these items may seem small, the impact they create on youth experiencing foster care is larger than most ever realize. Thank you to F&M Trust for your support and for making a difference in the lives of youth in Pennsylvania,” said Steven Macias, donor relations manager at Together We Rise. “We found a way to invest in ourselves but also in our community at the same time. We know there is still work to be done, and we’re going to keep at,” said Melissa Miller, assistant vice president, marketing officer at F&M Trust. Miller spearheaded the event. “I am proud of our employees not just today, but every day, for what they do. 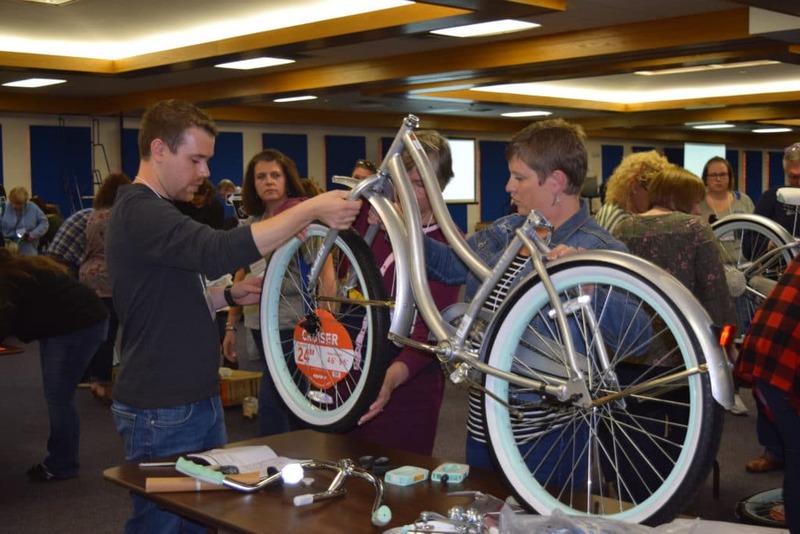 They find unique ways to harness our collective energy to make our communities a little bit stronger, a little bit better,” Henry added.